On the 20th (Sat), play a few rounds at Fota Island Resort. To see more things to do, photos, traveler tips, and more tourist information, read Fota Island holiday planner. The Route module shows you travel options from your home to Fota Island. August in Fota Island sees daily highs of 20°C and lows of 13°C at night. Wrap up your sightseeing by early afternoon on the 20th (Sat) to allow enough time to travel to Killarney. Escape the urban bustle at Inch Beach and Slea Head Drive. You'll visit kid-friendly attractions like Derrynane Beach and Coumeenoole Beach. Step out of Killarney with an excursion to Blueberry Hill Farm in Sneem--about 58 minutes away. 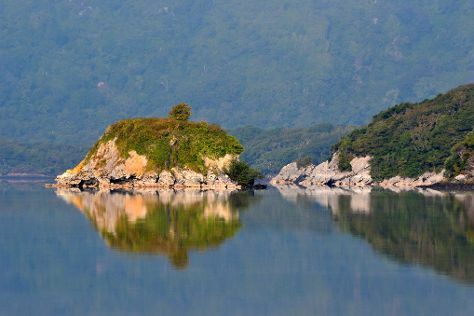 Spend the 23rd (Tue) exploring nature at Killarney National Park. For more things to do, ratings, photos, and other tourist information, read Killarney travel planner. Use the Route module to find suitable travel options from Fota Island to Killarney. Expect a daytime high around 20°C in August, and nighttime lows around 13°C. Finish up your sightseeing early on the 24th (Wed) so you can travel to Kilkee. Kilkee is a small coastal town in County Clare, Ireland. On the 25th (Thu), relax in the rural setting at Moher Hill Open Farm and Leisure Park, explore the striking landscape at Cliffs of Moher, and then hike along Clare Coastal Walk Project. On the next day, tour the pleasant surroundings at Lahinch Beach, look for all kinds of wild species at Doughmore Bay, and then identify plant and animal life at Bridges of Ross. For ratings, other places to visit, reviews, and tourist information, use the Kilkee travel planner. Use the Route module to find suitable travel options from Killarney to Kilkee. In August, daytime highs in Kilkee are 22°C, while nighttime lows are 14°C.